You have read of many dives here on Madang – Ples Bilong Mi of dives near Pig Island at a spot we call The Eel Garden near Pig Island. It is probably our most popular dive for several reasons. It is close, only a few minutes from Madang. It is also usually sheltered from waves, so that it is comfortable for those staying on the boat. It is an easy dive and has a variety of habitats from sandy bottom to outer reef. Last, but not least, it has a wreck . . . of sorts. This is how they appear as you approach them from the bow end. In this area is a wild menagerie of life. It would be easy to spend an hour between the hulls cataloguing the crazy tangle of coexisting critters. As you can see, the shot above was “spoiled”. As the fish darted past me, I spun around and grabbed a snap shot. I expected it to be motion-blurred. What I did not expect is that, after minimal massaging with Photoshop, it turned out to be an interesting bit of art. It certainly conveys the sense of motion. You can see a diver’s bubbles behind the lattice. If click to enlarge and look at the extreme left of the image, you can barely make out the image of a diver’s fins as he moves off to the left. You can also make out his bubbles trailing above and behind him. 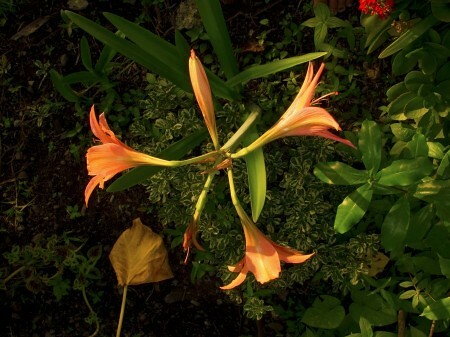 Most of these shots were taken with the iris stopped down to ƒ/8 to increase the depth of field. Yes, some more “Deep Focus” shots. I’ve found a whole new way to bore you. 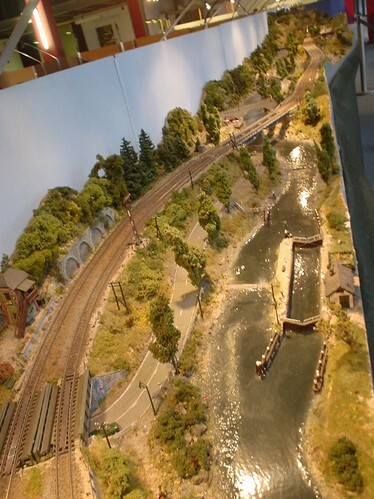 My next project is a gigantic model train layout with tiny towns and miniscule pine trees. I will explain every detail of this to you when it’s finished. I went in search of cute camping gear at a very confusing mall in Den Haag. I didn’t find any, but they did have a really detailed model train layout of a German rail line. 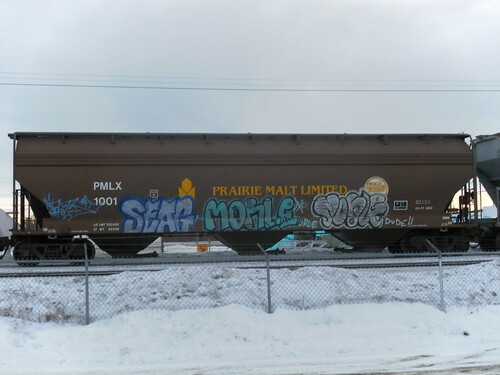 Prairie Malt Limited covered hopper with graffiti. 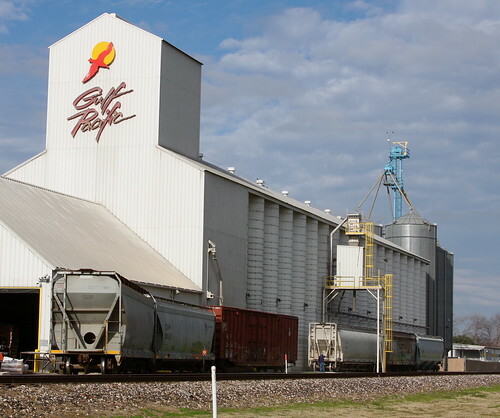 An interesting photo, may want to replicate it some day on my model train layout.